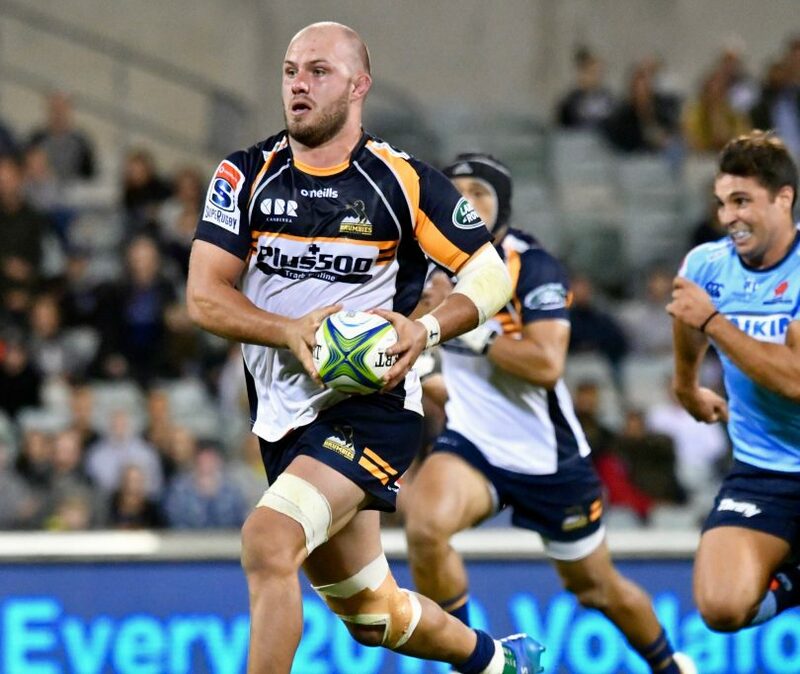 Lachlan McCaffrey was adamant the side were not focused on the Brumbies precarious position on the Super Rugby ladder. Photo: Jaye Grieshaber – Jayzie Photography. Is it the halftime oranges, the pep talk or a lack of focus? Whatever it is, the Brumbies have a problem and they are determined to fix their vulnerability after the halftime break. The side has been too slow out of the blocks in their second halves this season and their Super Rugby finals hopes are paying the price. During last weekend’s 36-14 loss to the defending champions Crusaders in Christchurch, the Brumbies, having led at half-time, conceded three tries in the 20 minutes after the break. In their four previous games, momentum swung during the crucial 20 minutes after the break, with Brumbies walking away victorious on only one occasion. The 20-minute period after the break has haunted the Brumbies this season, which loose forward Lachlan McCaffrey admitted the side has focused on as the Johannesburg Lions come to town. “It is something we have talked about and we have tried a few things around halftime,” he said. “I think it comes down to our gameplan and mentally 1 to 15 being switched on and starting fast. Despite the side sitting last among the four Australian teams and just one point off the bottom, McCaffrey said it is not all doom and gloom for the Brumbies. “Not many teams would go over there and keep the Crusaders scoreless for over 40 minutes,” McCaffrey said. “There are lots to improve on but there are some good things there too. “We have won our last two games at home. We pride ourselves on trying to give back to the Canberra faithful and we would like to do that again this Saturday and post coming back from tour another two home games which could set us up nicely. But McCaffrey was adamant the side were not focused on the Brumbies’ precarious position on the Super Rugby ladder. “I think you waste your time if you talk at ladders or points or who is where,” he said. “I think it is just important to focus on yourself and the process of what we are doing and looking at the positives because there is a lot of them at the moment and just fixing two or three little areas. “We have done that and we review really hard as players and as coaches and we are excited for this week. Tags Brumbies Rugby gio stadium halftime oranges Johannesburg Lions Lachlan McCaffrey second half fades super rugby.